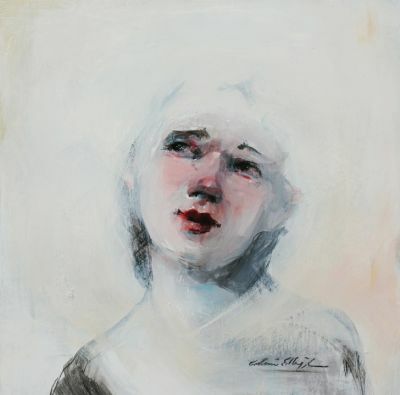 Born and raised in Germany, Cathrine Edlinger-Kunze moved to the United States in 1994 where she works as a full time artist. She credits her father for inspiring her love of painting. "Sitting side by side with my father, I learned very early what painting meant to me, and it became a special bond to my father and me. Edlinger-Kunze devotes most of her time to sketching and painting the figure, explaining "the human face and body always fascinated me...the body is the perfection of form, movement and nature." Much of the artist's recent subject matter revolves around performers and dancers, recalling the delicacy of Degas' ballerinas and the quietude of Picasso's saltimbanques. Edlinger-Kunze has shown her work since 1985 and has exhibited in Germany, Italy and the United States; and counts collectors from Europe, North America, Asia and Africa.